The Windows Phone 8.1 SDK was released with a bang at the beginning of April 2014 and the OS update arrived later that year. It brought lot of new to the Windows Phone ecosystem, but also caused a noticeable disarray to the Windows Phone community and to the community of developers as well. Some features in WP8.1 are definitely great and improving, some are just worrisome, and some features in WP8.1 SDK are simply missing, even though they were in WP8. 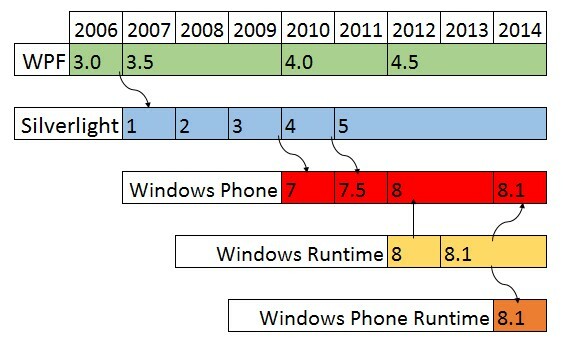 Let's take a look on the WP8.1 SDK nine months after the original release, what improvements it brought and also what's still not there. In this dev article about Windows Phone 8.1 SDK, 9 month later I'll summarize in few bullet points the most interesting features of this OS update and especially what's new for developers. 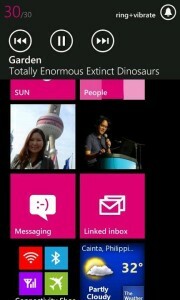 Just today I've published one of my first Windows Phone application Bugemos as Open Source on GitHub. The app, that I created and published to Windows Phone Store back in late 2011, is just a simple RSS reader displaying latest comic strips from the web http://www.bugemos.com. The reason I'm publishing it as Open Source is that I think it might give a helpful insight to starting WP developers and to the community as well. Note the published source code is not the exact one, that was used in the currently published app. The app was updated from WP7.5 to WP8 and also instead of original AsyncCTP it now uses current Microsoft.Bcl.Async NuGet package. So let's see, how is the application designed and what it does. In this article I describe new developer APIs available in Windows Phone 8 GDR3/Update 3, at the time of writing this article the latest official version of Windows Phone OS. After reading that article I was wondering, if there are another new APIs available in the GDR3 update, that can be accessed by reflection, so I stared my analysis. Just a simple tip, what I just discovered recently - you probably know that when you play any music file or tune FM radio station on Windows Phone 8, this volume bar controls appear, when you press Volume Up/Down buttons. But even when you stop the music playback, there is no simple way, how to remove this media playback bar. But since there is already at least one app, that can remove this Volume bar, I was wondering, how to do it in C# as well. You need to add into your app empty file with .wma extension and set the build action as "Content", for instance "empty.wma" into the app root folder. 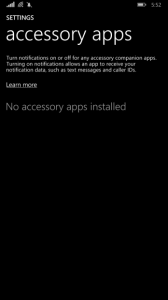 Note I've tested this only on Windows Phone 8 device with GDR3 update, but I guess it will work on WP7.5 as well.